Many World Cups have passed and they just seem to fly by ever so quickly. 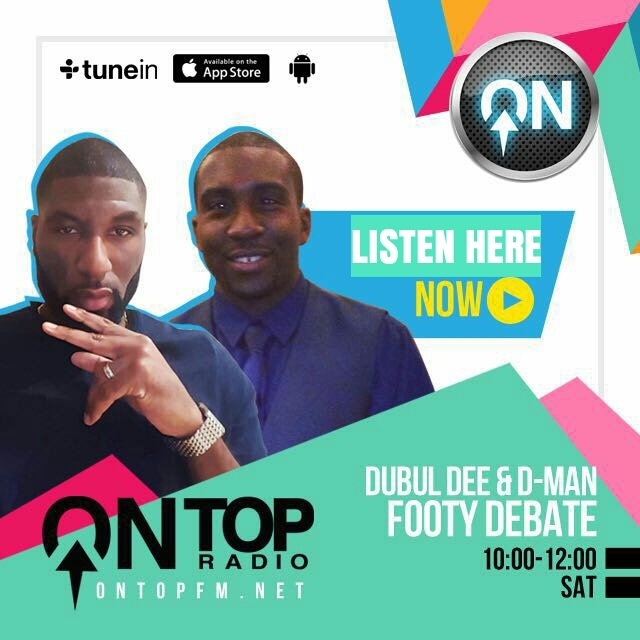 There is so much football played, that though we have watched a lot of it, whether it has been seeing the game live or watching highlights, it can really scramble the brain to pinpoint everything that has happened. I therefore had an idea to keep a diary/log from day to day, something that can be just as useful in many years as it is now, in regard to jogging the memory that is. So here I present the World Cup Diary, there will be two parts, starting here with the group stage and then the second part will be the knockout phase. Previous World Cup opening ceremonies had been much maligned. The length of them had been considered too long and the expenses had come under much scrutiny. Four years ago in Brazil drew a great level of animosity due to its expenditure considering the economic state the country was in. Russia 2018 saw a brief opening, one that did not even last anywhere near half an hour. Singer Robbie Williams was the musical attraction; legendary Brazilian striker Ronaldo also came out to take penalties with the World Cup mascot and everything went quite smoothly. Every country participating was represented in a colourful display and anything else was kept to a minimal. The first game saw the host nation entertain Saudi Arabia in Group A. Just before kick off Russian President Vladimir Putin gave a few words, and basically Russia knew there was no room for error with him watching over them, given this Saudi Arabia were crushed 5-0. Villarreal’s winger Denis Cheryshev came on as a first substitute and was the star, scoring two great goals. His first showed composure, cutting inside and then finding the back of the net. His second, was technically brilliant, a volley with the outside of his left foot. The other teams in Group A started off the days proceedings. Uruguay edged Egypt out 1-0 thanks to an 89th minute header from Atletico Madrid’s defender Jose Gimenez who out jumped West Brom’s Ahmed Hegazy and Arsenal’s Mohamed Elneny. Egypt had fought so gallantly and deserved a point, but you do not always get what you deserve unfortunately. Egypt’s Mohamed Salah was left on the bench as expected after his shoulder injury, but the longer the game went on you thought Egypt coach Hector Cuper would sneak him on to try and nick the win. Salah was not used and Egypt were left to ponder what might have been. Group B kicked off with Morocco against Iran. Iran only conceded one goal in World Cup qualification, so a tight affair was expected. The game looked destined for a goalless draw when Aziz Bouhaddouz headed a cross into his own goal in the fifth minute of injury time to give Iran a 1-0 victory. The evening game saw the powerhouses in Group B collide, as Portugal met Spain in the clash of Iberia. An early contender for game of the tournament finished 3-3, an enthralling end-to-end contest that at times resembled a game of basketball. Portugal took the lead through a Cristiano Ronaldo penalty, before Diego Costa levelled for Spain with a fantastic individual goal; holding up the ball, and then twisting and turning his way through before finding the bottom corner. Manchester United keeper David De Gea made a hash of a Cristiano Ronaldo left footed shot and Portugal regained the lead. Costa drew Spain level again in the second half, before Real Madrid’s Nacho scored an exquisite volley. Nacho met the ball perfectly and the ball flew in off the post. Cristiano was to be the hero though, masterfully placing an 88th minute free kick up and over the wall to salvage a point in a blockbuster end to this thriller. The first of four matches, saw Group C begin with France beating Australia 2-1. A timid first half was followed by an incident packed second. Australia’s Trent Sainsbury looked like he had made a good challenge on France’s Antoine Griezmann, VAR (Video Assistant Referee) asked the referee to review it, and a penalty was awarded as Sainsbury’s follow through meant he fouled Griezmann. Griezmann scored the penalty, only for Australia to be awarded a free kick a few minutes later. Samuel Umtiti handled the ball wildly and Mile Jedinak levelled from the spot. Manchester United’s Paul Pogba won the game for France with a deflected shot late on that just about crossed the line. The first look at Group D saw Argentina draw 1-1 with Iceland in a good game. Manchester City’s striker Sergio Aguero fired a superb opener with a sharp turn and finish on his left foot. Iceland equalised literally straightaway however. Argentina bemoaned Lionel Messi messing up a second half penalty; Hannes Halldorsson in the Iceland goal making an inspired save. Group C’s Denmark edged out Peru 1-0 in a tight affair. VAR again playing a part as the referee missed a foul on Peru’s Christian Cueva, but upon review it was given. Cueva himself put the penalty way over the bar and it came back to cost them dearly as Yusuf Poulsen won it for Denmark in the second half with a neat finish and it ended 1-0. The late match, saw Croatia start off their Group D campaign with a 2-0 win over Nigeria. The contest overall was underwhelming, as the Nigerian team played like they had just come to model their fashionable shirts made by Nike. It was at times a training session for Croatia. Group E got underway with Serbia beating Costa Rica 1-0, thanks to a sublime free kick by Roma’s former Manchester City left back Aleksandar Kolarov. There was to be a plot twist in Group F’s first game as Mexico beat the holders Germany 1-0. PSV Eindhoven’s Hirving Lozano was the hero finishing a swift Mexico counter attack. Lozano turned Arsenal’s Mesut Ozil inside out before scoring. Ozil it seemed forgot that you actually are allowed to tackle your opponent, raising his hands to plead his innocence, when he had not done anything and I mean anything. Germany struck the woodwork twice through Toni Kroos and sub Julian Brandt but overall Mexico were well worth their surprise win. Brazil and Switzerland’s Group E encounter finished up a 1-1 draw. Former Liverpool man Phillippe Coutinho, (now of Barcelona), scored a lovely curling shot off the post, the type of strike we came accustomed to from him when he played in the Premier League. Steven Zuber grabbed a point for the Swiss with a second half header, which should not have been given as he fouled Brazil’s Miranda prior to it. Sweden beat Korea Republic 1-0 to take charge of Group F. Korea’s keeper Jo Hyeon-Woo made a special save with his legs to deny Sweden’s Marcus Berg in the first half. In the second; VAR intervened and the referee rightly ended up giving Sweden a penalty after he was not sure if a foul had been committed. Sweden’s captain central defender Andreas Granqvist tucked away the winner from 12 yards. Belgium set the pace in Group G with a 3-0 win over debutants Panama. Panama had showed some good resistance until Dries Mertens unleashed a cracking volley to give Belgium the lead in the second half. Manchester United’s Romelu Lukaku bagged a brace to kill the game, the first a header from a beautiful pass by Manchester City’s Kevin De Bruyne with the outside of his right foot. England squeezed past Tunisia in their opening Group G match. Tottenham’s Harry Kane was at the double. The second right at the death as he stole away to score a good header after a flick on from a corner. The result on paper should have been a formality; but how often have we seen England mess these kind of games up? So this result was of great significance. Had Manchester United’ds Jesse Lingard been at the races, then this game could have been over in the first half. Tunisia responded very well in the second half, and England really did breathe a huge sigh of relief in the end. Group H began with Japan clearly not intent on following the script as they beat the favourites to top the group Colombia 2-1. Colombia had to play over 85 minutes with ten men after the referee was not impressed with midfielder Carlos Sanchez’ goalkeeper impression. Former Manchester United man Shinji Kagawa netted the penalty. Juan Quintero pulled Colombia level with a smartly taken free kick going under the wall. Japan claimed victory through frontman Yuya Osako. Osako then produced a huge block to deny Colombia a point. A great effort by Colombia with a man short, but it was not enough. Senegal not wanting to be left out of the festivities beat Poland 2-1 to go level at the top of Group H. A comedic and partly controversial goal from Mbaye Niang made it 2-0. Niang had been off the pitch receiving treatment, the officials waved Niang back on and all the Polish players it seemed had not seen him, Niang then seized on a tame back pass and rounded Wojciech Szczesny in the Poland goal. Group A’s second round of games began in the evening. Mohamed Salah started for Egypt, but this did not stop them being put away 3-1 by a rampant Russia. Spurned on by the wrath of Putin, the hosts became the first team to qualify though being the lowest ranked country coming into the tournament. Their standout goal came from striker Artem Dzyuba, who controlled the ball well and calmly finished for his second goal of the tournament. The day started with Portugal just about getting past Morocco in Group B with a 1-0 win. There were no prizes for guessing that Cristiano Ronaldo scored the goal with an early header, almost getting his head kicked off in the process. Portugal keeper Rui Patricio made one of the saves of the tournament to deny a Younes Belhanda header diving low to his right. Moroccan centre half Mehdi Benatia hit a few decent chances over also, denying Morocco what would have been a deserved point. Uruguay confirmed their place in the knockout phase with a 1-0 win over Saudi Arabia in Group A. Saudi Arabia’s keeper Mohammed Alowais came for a corner and did not get it and Luis Suarez gobbled up the opportunity to stick the ball in. Alowais should have known Suarez does not turn down the chance to bite at something. Spain edged past Iran in another 1-0 on a day I myself thought would be littered with goals, so you can imagine the disappointment. Spain went onto four points with Portugal at the top of Group B. Diego Costa fortunately got the winner, after turning the defender, the ball was kicked onto Costa and it went straight into the net. Iran later felt aggrieved as they had a goal disallowed for offside as VAR informed the ref to have a look, but it was the right decision in the end. Iran almost still grabbed a point as Valid Amiri headed a good chance over near the end. Denmark were held to a 1-1 draw by Australia in Group C. Christian Eriksen scored a luscious left footed half volley to give Denmark the lead early on. VAR was involved again to help award Australia get a penalty and Mile Jedinak was again reliable from the spot kick. France stayed top of Group C, with a narrow 1-0 win over Peru. Paul Pogba produced a good bit of play and found Chelsea’s Olivier Giroud whose shot was saved, only for teenager Kylian Mbappe to score from the rebound. Mbappe became France’s youngest ever scorer at a World Cup at just 19. The last game saw an ‘upset’ in Group D as Croatia thumped Argentina 3-0, the scoreline actually flattered the South Americans, who were outclassed in every area of the pitch. Winger Ante Rebic capitalised on a horrific mistake by Argentine keeper Chelsea’s Willy Caballero, who miskicked the ball to give the Croats the lead. Rebic emphatically volleyed into to net, making it look easy but believe me it was not. Real Madrid’s Luka Modric scored a blistering drive from outside the box for the second, before Barcelona’s Ivan Rakitic got the third. 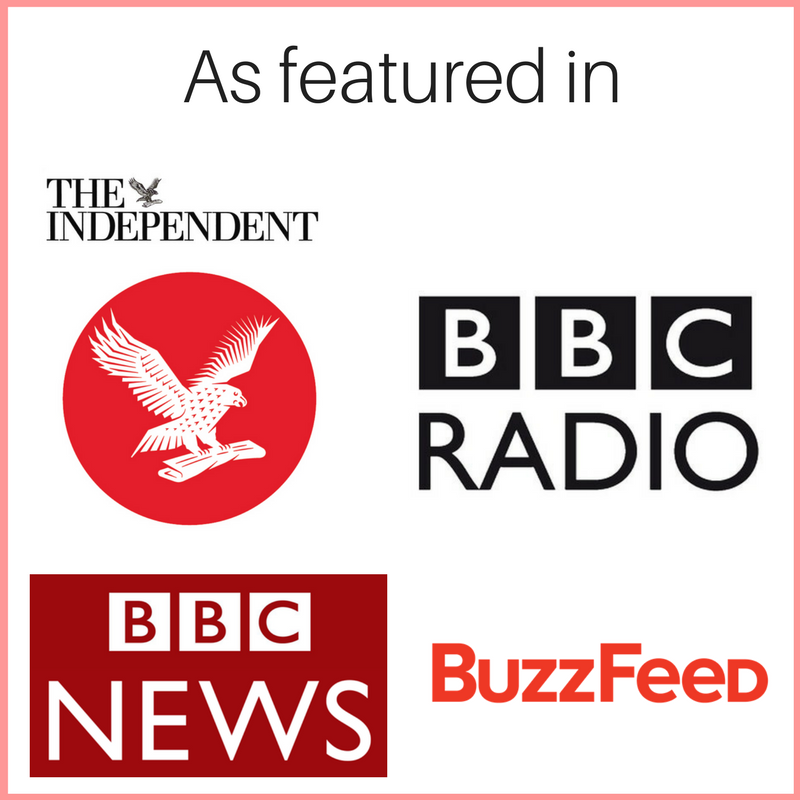 The ease of the win sent shockwaves through the competition. Brazil left it late to topple Costa Rica 2-0 in Group E. Goals from Neymar and Coutinho both in added on time sealed the deal. The game also interestingly saw the referee overturn his penalty decision after being informed to review it by VAR, as he realised that Neymar had simulated his fall and there was not enough contact to worry the penalty. Nigeria got their Group D campaign up and running, with a 2-0 victory over Iceland. A fantastic brace from Ahmed Musa secured the three points. The first an artistic control and volley; the second a super solo effort to give the Super Eagles something to dance about. There was another late win in Group E for Switzerland over Serbia, as Xherdan Shaqiri showed great pace in the 90th minute and then somehow squeezed the ball in, when it looked like the chance had gone to steal the game 2-1. Serbia had earlier gone in front from a bullet header from Alexsandar Mitrovic. Arsenal’s Granit Xhaka thumped in a spectacular equaliser and Shaqiri had actually given Serbia a warning before his goal with a shot that hit the woodwork. Belgium sealed a 5-2 win over Tunisia in Group G. Lukaku grabbing a brace with what were two very good finishes considering the stick he gets. Chelsea’s Eden Hazard also got two, the second was well taken after a fine Toby Alderweireld (Tottenham) pass. Michy Batshayi came on in the second half and honestly could have doubled the score with the amount of chances he had, he was only able to grab one goal however. Mexico made it two wins from two in Group F as they beat Korea Republic 2-1. West Ham’s Javier Hernandez getting the important second goal with a good turn and finish. Tottenham’s Heung Min Son pulled a goal back for Korea with a vicious left foot shot from outside the area. Germany saved themselves from a premature Group F elimination with a 2-1 win right at the death against Sweden. Germany looked in quite the predicament when defender Jerome Boateng was sent off at 1-1, a Toni Kroos freekick in injury time completed a Germany comeback and kept the holders alive. The day started with England thumping Panama 6-1 in Group G. John Stones bagged two, Harry Kane got a hattrick including two penalties. Kane’s third goal was from a shot by Ruben Loftus-Cheek that hit him when he did not know anything about it, let us be real we have seen him claim goals when the ball did not touch him, so this was always his goal. The pick of England’s goals was a curling effort from Jesse Lingard, redeeming himself after his misses against Tunisia. A fiery game in Group H saw Japan draw 2-2 with Senegal. Keisuke Honda’s goal rescued a point for Japan after some poor defending by Senegal. A win would have more or less put Senegal through, instead they have to try and secure qualification against Colombia in the final group game. 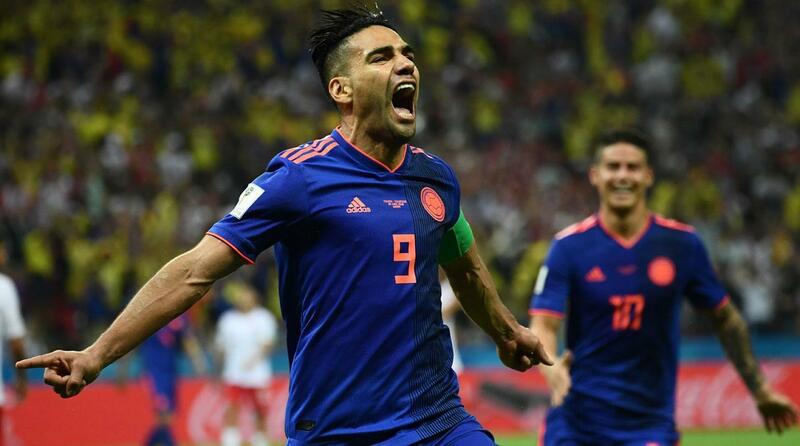 Colombia finally kick started their World Cup with a very accomplished 3-0 win against Poland, the Poles were eliminated from Group H with two defeats from two. James Rodriguez pulled the strings in this one with two assists. The other goal saw a slick though ball by Juan Quintero and Falcao’s outside of the foot finish complemented the great pass. Group A was the first group to reach its climax. As always for the conclusion of the group stage all teams played at the same time in their respective groups, so no one had an advantage. Uruguay and Russia had already qualified, so all we needed to know was who was going to top the group?, and the answer to that was Uruguay. The South Americans strolled to a 3-0 success over the hosts. The first goal embodied Russia’s day as the wall moved on a Luis Suarez free kick allowing him to basically have a free shot at the keeper and he easily found the corner. In Group A’s ‘dead rubber’ between Saudi Arabia and Egypt; Egypt took the lead through Mohamed Salah, but went on to lose 2-1. Salah missed a great chance to double the lead after his opener and it cost them dearly. Saudi Arabia were awarded a penalty that was saved by the oldest man ever to play in a World Cup Egypt’s keeper Essam Elhadary. The Saudi’s then were given another penalty, which they scored at the end of the first half. They then won the game in the fifth minute of injury time through Salem Eldawsari. The highly competitive Group B had the thrilling box office ending that it deserved. In a mouth-watering scenario three of the four teams left could still progress. Spain played Morocco and Portugal played Iran. Morocco took the lead against Spain, only for Spain to level five minutes later. Khalid Boutaib who gave Morocco the lead almost scored again before the break. 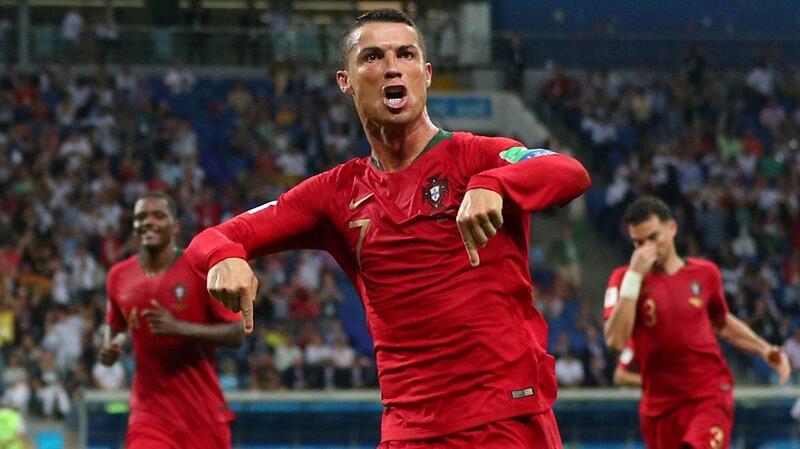 In the other contest, Cristiano Ronaldo missed a penalty for Portugal, before maverick Ricardo Quaresma; scored an impeccable goal with the outside of his right foot from the edge of the box, to give Portugal the lead against Iran. Side note; Quaresma may just be the best player I have ever seen when using the outside of his foot. Back to Spain versus Morocco, where the Africans clearly had not wanted to follow the screenplay. Nordin Amrabat smashed the angle of the goal with what would have been the goal of the tournament, before Yousef En-Nesyri put Morocco ahead. The drama was far from over, as in the other tie, Iran scored a 93rd minute penalty through Karim Ansarifard to make it 1-1. Considering the circumstances you will not see a better penalty. Iran should have went on to put themselves through and Portugal out, as in the 95th minute Mehdi Taremi put a great chance into the side netting. So having all that take place right at the death, Spain in their game, pulled out an injury time goal to get a 2-2 draw with Morocco. Iago Aspas scored a deft flick, which meant Spain topped the group. The goal was rightly given after VAR asked the referee to look at a possible offside. Scenes! Group C started off the days proceedings in a mild manner given Mondays late shenanigans. France and Denmark had a goalless draw in a fairly dull affair. France had already qualified and Denmark only needed a draw to go through and it showed. Both teams had made changes to their lineups and it reflected in the lack of cohesion of their performances. Peru finished off their World Cup with a win as they beat Australia 2-0. Andre Carrillo with a great volley scored the first. Australia wasted a couple of glaring opportunities and bowed out with no goals from open play. Group D did its best to compete with the finish to Group B. Amazingly all the teams in the group had a chance to go through. Argentina had only amassed a single point from the opening two games, so it was ‘win or go home’ against Nigeria (3 points). The Africans themselves were hoping Croatia would overcome Iceland, so if they beat Argentina then they could progress. If Iceland (1 point) were to beat Croatia they could also sneak through the back door and qualify with four points if Nigeria and Argentina drew. Confused? Yeah, well you should partially be. The stage was set for the best player in the world Lionel Messi to drag Argentina to the knockout stage, and temporarily redeem himself in what had been a poor World Cup for him and his countrymen. Messi would indeed oblige, on 14 minutes he controlled a Ever Banega pass on his left thigh, then took a glorious second touch with his left foot, before unleashing an unstoppable drive on his weaker right foot to make it 1-0. Chelsea’s Victor Moses scored a second half penalty to level things up. Odion Ighalo missed a sitter to put Nigeria ahead, and an appeal for a penalty was turned away after VAR had the referee review it. 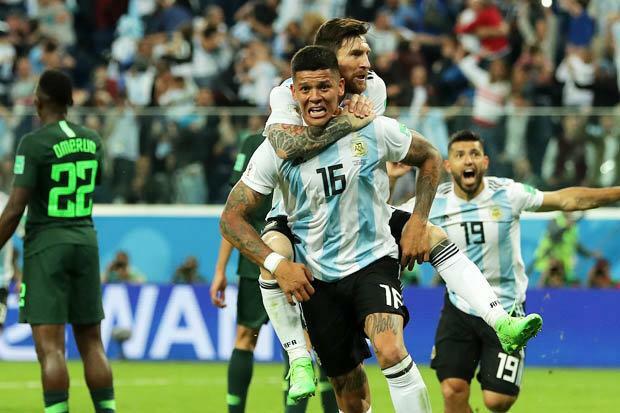 With it looking like the Argentinians were going home, Manchester United’s defender Marcos Rojo popped up with a blinding volley on his weaker right foot (weaker foot goals being the theme of the evening) to put Argentina through and break Nigerian hearts. It was truly epic. Argentina’s qualification came as Croatia beat Iceland 2-1 in the other Group D game, meaning they were the second team after Uruguay to win all their group games. The pick of the goals was a fine left foot strike by substitute Inter Milan’s winger Ivan Perisic to win the game. There was drama, drama and more drama to conclude Group F. Germany had to beat Korea Republic to go through, Korea’s keeper Jo Hyeon-Woo had other ideas though. Mesut Ozil created chance after chance but they were wasted by Germany, the main culprits being Mario Gomez and Mats Hummels. The holders would pay for their wastefulness. After VAR got involved, Korea rightfully had a 93rd minute goal by Kim Young-Gwon given, as there had been a suspicion of offside. Germany still pressed forward and Gomez missed another good chance before Son made it 2-0 to Korea. Son had an empty net to score in as German keeper Manuel Neuer had stayed up the pitch after a corner trying to help the team get a vital goal. So the holders were out, falling at the group stage just like three out of the four holders that preceded them. The day closed with Brazil beating Serbia 2-0 in Group E, which confirmed Brazil would advance and Serbia were eliminated. Everything Coutinho done had been predictable until he lifted a lovely pass over the top and Paulinho smartly finished as the keeper came out. Serbia troubled Brazil, Miranda produced a great bit of defending and Thiago Silva almost scored an own goal. Brazil rode the wave and then at the right end, Silva headed in the all important second as Serbia did not pick him up from a corner. Switzerland and Costa Rica played out a 2-2 draw. Costa Rica were intent on giving their fans something to take back with them and hit the woodwork twice in the first half, one of the efforts struck the post after a brilliant save by Swiss keeper Yann Sommer. Switzerland also hit the bar in the second half themselves. A 93rd minute goal got Costa Rica a point as former Fulham man Bryan Ruiz’ penalty hit the bar and then went in off the unlucky Sommer’s head, a quite amusing moment if you were a neutral. Group H had an intense finale. With Poland already out, Japan, Senegal and Colombia all had the chance to still go through. Senegal (4 points) and Colombia (3 points) were going head to head and needed a favour from Poland who were up against Japan. Japan only needed a point to advance. That aforementioned favour was on the way as Poland took a 59th minute lead through Southampton’s defender Jan Bednarek. Before that in the first half of the Senegal and Colombia game, VAR suggested that the referee check over his penalty decision. A challenge by Davinson Sanchez (Tottenham) had looked a foul, but on review it was an outstanding tackle. That crucial challenge was priceless, as in the second half Yerry Mina scored another good header to put Colombia 1-0 ahead. 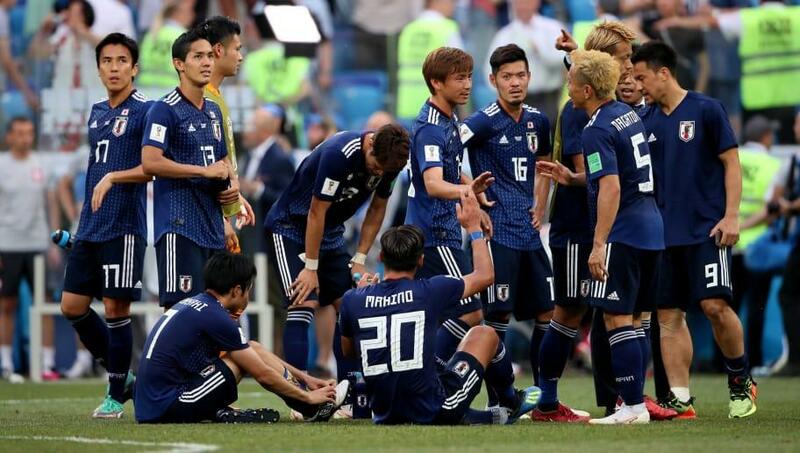 The news filtered its way through to the Poland and Japan game and led to a poor finish that FIFA surely need to look into for future competitions. Japan had fewer bookings than Senegal, so therefore they would go through in second place though both teams were on four points. This lead to Japan passing the ball around uncontested as Poland were ahead and had no reason to make tackles, poor scenes, but it was inevitable unfortunately given the situation. Both games ended up finishing 1-0 and Colombia finished group winners with six points. Group G’s conclusion was nowhere near as melodramatic. Belgium and England were in the unfamiliar scenario of both not wanting to win their final group game, as it might mean playing Brazil in the quarter final should any of them get that far. The intent the teams had to win the game was made evident by there being a combined 17 changes between the sides. The only real moment of individual brilliance was where the winner came, and it was from former Manchester United winger Adnan Januzaj. Januzaj befuddled Tottenham’s Danny Rose before hitting a placed curling shot past Everton’s Jordan Pickford in the England goal. Belgium’s Manager Roberto Martinez’ body language was one of a broken man when the goal went in. So, Belgium topped the group, winning all their three games. Tunisia beat Panama 2-1 in the other Group G game. The tie to the neutral had no significance, but this was actually Tunisia’s first World Cup win for 40 years. The best moment was Tunisia’s first goal; a lovely team move that was finished by Fakhreddine Ben Youssef. So the group stages were completed, make sure to read the next part of the diary, where we will look at the knockout stages.